NUFC now interested in 22-goal striker as a potential Salomon Rondon alternative – Report – NUFC blog – Newcastle United blog – NUFC Fixtures, News and Forum. According to the Chronicle’s Lee Ryder, Newcastle have been keeping a close eye on in-form Serie A striker Duvan Zapata ahead of the summer transfer window. The Colombian has scored 22 goals this season during a successful loan spell with Atlanta, making him the fourth highest scoring in Italy across the 2018/19 campaign. Zapata – a powerful striker standing at 6ft 2′ – played under Benitez at Napoli back in 2013, with Rafa giving him his first shot in one of Europe’s top leagues after signing him from Estudiantes almost 6 years ago. 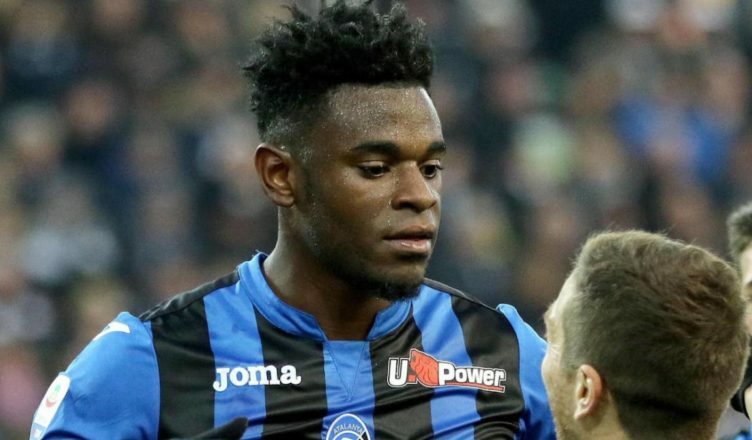 ‘Newcastle United checked out Atalanta’s on loan striker Duvan Zapata during Italian scouting missions this season – according to sources in Serie A. ‘The Colombian international is Italy’s fourth top scorer this season with 17 goals to his name so far in what has been a successful loan stint from Sampdoria. ‘Atalanta are due to make the deal permanent as part of an option to buy but they are getting ready to sell him this summer when the deal is officially completed. ‘United have stepped up their hunt for talent in Serie A in recent times, and Rafa Benitez is still keen to look at players who have experience under their belts, with Zapata fitting into that category. I can see the logic in this one based on the fact Rafa knows him well and he’s enjoying a brilliant season in Italy, but it would be an expensive and risky alternative to Rondon. It doesn’t make a great deal of sense to me. If reports are true that Ashley’s wanting to revert back to a policy that sees us sign players under the age of 26, why would be be looking at striker who turns 28 next week, who’s unproven at Premier League level and is set to cost upwards of £30m according to the Italian media. Rondon’s just 18 months older than Zapata, yet he looks set to be available for just £16m IF West Brom fail to earn promotion back to the Premier League – a deal that makes much more sense given he’s already shown what he’s capable of doing at this level in this Newcastle side.